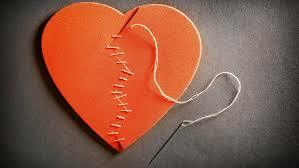 On September 11, which is an unfortunate day in the US for anything happy to occur, something very happy does occur. 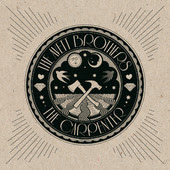 The Avett Brother's release their second studio album, The Carpenter. Contrary to the popular but misguided opinion that I am a music snob, I have no idea what differentiates a studio album from a non-studio album, other than some big shot named Rick Rubin, who worked with even bigger shots like Madonna and stuff, produced it. None of that impresses me nearly as much as the album itself, which I have been streaming almost constantly since it was put up on NPR's first listen ((listen here). In my absolutely untrained but highly subjective opinion, this album is awesome. My favorite track is called February 7, and in my mind it speaks to the second chances that we would all be proverbially screwed without. I like that this album has horns, and so does my Eclectic Man. The album still speaks plenty of banjo, which is my favorite sound in the world, but I also really love that Joe Kwon's cello really feels like it comes of age in these songs. My (true music snob) cousin has always said that he felt Joe didn't quite fit, or at least his cello didn't. My cousin also wears sweat bands and considers beards the status symbol of hipster ideology, so I feel safe in calling his critique into question. But as to the idea that I am a music snob, I must confess a deep rooted weakness for mainstream trash, especially from the 80s and 90s, that would make my indie friends blush. I mean, would a real music snob tear up watching the infomercial for Power Ballads of the 90s? I think not. At this point the hipsters and indie music snobs are becoming so mainstream that my cousin's Hall & Oates fetish is actually more of an indie movement. 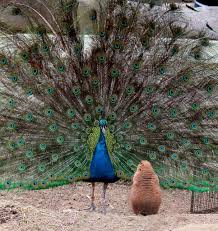 (You have to admit, Brent, the girls aren't lining up at the door.) My studly guy wisely hid his proclivity for 80s hair music from me until AFTER the nuptials, and I will never admit to him that I secretly adore it. Unfortunately he reads this blog, so now I need to find a new superiority complex to develop. So let me talk about my favorite music, the good, the bad, the indie. It's hard for me to really categorize my musical preferences. It's kind of like food preferences for me: yes - I prefer it. All. Anyone who knows me even slightly has been exposed to my slightly embarrassing groupieism for The Avett Brothers. I would be more ashamed except I really believe that they are THAT GOOD. As artists and as people. As much as My Boy expects me to leave him any second for Scott Avett, the day that man gets a divorce is the day I quit listening to their music and face the reality of Total Disillusionment. I have even talked to their dad, about child rearing, no less, and how to get around the harsh realities of parenting fails. Jim Avett seems like a kind soul. And makes great music as well. But enough about them. In chasing TAB around the country, I have discovered a handful of other great bands that you may or may not have heard of, depending on how cool you are. At the top of this list is Langhorne Slim and The Law (Langhorne's Website), Sally Ford and the Sound Outside (Sallie Ford), Sasparilla, Lone Madrone, Thao and The Get Down Stay Down, and probably more that I don't remember. As The Avett Brothers began to circulate, bands with that banjo-ridden americana sound all started surfacing in my consciousness. Great bands like Old Crow Medicine Show, Mumford and Sons (incidentally not American at all), Dawes, Blind Pilot, Blitzen Trapper, Trampled by Turtles... and then I started to cross over to other cool "indie" music like Grace Potter and the Nocturnals, The Black Keys, The Decemberists, and recently The Lumineers, Fun, the Mynabirds (I'm really throwing them in because I got to ride on a shuttle to Pickathon with them)(and they're good) and many many more. If you have any questions about these bands, I probably can't help you, but I can try! Truth be told however, I spent the entire day today listening to a stream of 90s pop hits. Nothing gets to me quite like some good Ace of Base or Spindoctors. Wow. FLASHBACK. And speaking of flashbacks - this has nothing whatsover to do with music, but if you grew up in the 90s you obviously knew about Revlon's Outrageous Shampoo, which smelled exactly like you imagined dating would feel, if you were a homeschooled teenager. Anyway, it's not available in the US anymore, but I just found it on eBay, and it smells the exact same. I'd still like to know if dating feels that way. Outrageous on eBay Wow. That was a rabbit trail. Spindoctors and Outrageous. It's like oreos and milk. I have quite a bit more to say about music, but can't remember any of it right now, so check back for more. After you listen to The Carpenter 37 times.